These four little fellas are only six weeks old and are looking for a forever home in either a group of two or four! Previous owner noted some potential respiratory infection symptoms. Foster carers are currently assessing their health. Please complete our adoption application found here: http://www.rehome-a-rat-melbourne.com/adopt.html We will get in touch to discuss any potential questions or concerns. Keep an eye on your ‘junk’ folder for replies and email again or contact via our facebook page if we haven’t responded in over a week. 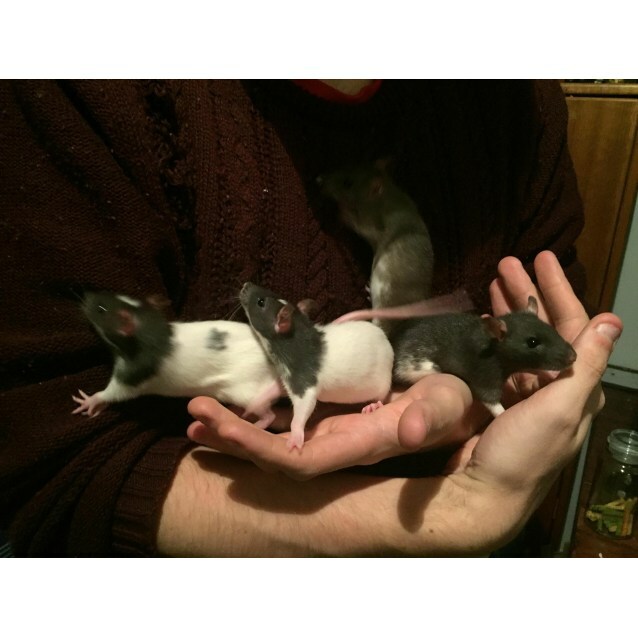 We can also arrange for you to meet the rats in their foster home before adopting.